1.1 General: ACS aviation industries Ltd shall carry out or arrange the completion of the services defined overleaf and the Customer shall pay for such services provided. All prices quoted are valid for thirty days only. All correspondence in connection with this Agreement shall quote both the Customer’s reference and the ACS aviation industries reference stated overleaf. 1.2 Standards: All work carried out and all materials used by ACS aviation industries Ltd in providing the Service shall comply with the relevant standards set down by the Airworthiness Authority identified by the Customer. If no standard is specified by the Customer the services shall be supplied in accordance with the terms and conditions of ACS aviation industries Ltd EASA approval UK.145.01333 (insofar as it relates to the type of Services required to be performed). 1.3 Certification: ACS aviation industries Ltd staff shall certify the work to the limit of their authority for the type of work to be performed. It may therefore be necessary for a member of the Customer’s staff or another agent to certify the work for certain types of aircraft or engine. 1.4 Delivery: The customer shall ensure that any services requested are accompanied by a serialised order form signed by an authorised representative, and including such information and documentation as may be required to define the services. ACS aviation industries Ltd shall use its reasonable endeavours to complete the services within the time specified overleaf. ACS aviation industries Ltd shall not be responsible for any failure to comply with this Agreement due to circumstances beyond its reasonable control. If the failure continues for a period of more than fourteen days either party shall be entitled to terminate this Agreement, by sending notice in writing to the other party. 1.5 Charges and Payment: Unless otherwise agreed by a duly authorised representative of ACS aviation industries Ltd in writing, the price to be paid for the services shall be the price stated overleaf. Unless otherwise stated the charges are quoted exclusive of VAT and duties which may be levied by reason of the import or export of any spares or otherwise by any government on the services.  ACS aviation industries Ltd shall not be responsible or liable for any expenses, taxes, duties or insurance sustained in any shipment of spares between the Customer and ACS aviation industries Ltd in either direction. Customers shall pay by way of a bank transfer in Dollars (USD) within 30 days of date of Invoice (Packslip Receipt) to credit ACS aviation industries Ltd Main, Account Number 4505444898501, BIC- CLYDGB2SXXX, IBAN- GB46CLYD828101444898501, CB Head Office Complex, 40 St Vincent Place, Glasgow, G1 2HL, UK. Interest at the rate of three percent per annum above the then current Barclays base rate lending rate shall be payable from the date on which payment is due up to the date of payment. 1.6 Warranty: ACS aviation industries Ltd warrants that if any defect, failure or malfunction becomes apparent which is proven to be due to faulty workmanship as a result of the provision of the services, within 6 calendar months or 500 flying hours from the date of the performance of the services (whichever occurs first) then ACS aviation industries Ltd shall repair such defect, failure or malfunction free of charge, However, ACS aviation industries Ltd shall not accept any liability whatsoever for any system which has been operated otherwise than in accordance with the manufacturer’s instructions or flight manual, or which have been subject to any accident, abuse or misapplication, or use in the development or experimental running , or subject to interference prior to receipt by ACS aviation industries Ltd. This warranty is in lieu of and shall expressly exclude any other liability to the Customer or to any other person direct, indirect, incidental or consequential damages (including without limitation loss of revenue, loss of profits or loss of contracts) regardless of whether any claim for such damages shall be based upon or in contract, strict liability, negligence or any other tort and any other such claim is freely waived by the Customer. 1.7 Indemnity: The Customer irrevocably and unconditionally agree to indemnify and hold harmless ACS aviation industries Ltd, its affiliates, its agents and its sub-contractors and its and their respective employees (“the Indemnified Parties”) from and against any and all liabilities, claims, costs, expenses, damages , loses, demands and proceedings (including any direct, indirect or consequential losses) brought by third parties, howsoever arising and of whatsoever nature whether in contract, tort, statute or otherwise at law, including those arising in respect of death of or injury to any person or loss of or damage to any property , including, but not limited to, the aircraft and the Customer’s property arising out of or in respect of the services, and regardless of negligence unless caused by the wilful misconduct of the Indemnified Parties acting in the scope of their employment or sub-contract, and in such circumstances ACS aviation industries Ltd shall not be held liable for any direct loss, including, but not limited to loss of profit, revenue, opportunity or anticipated savings and any indirect or consequential loss or damage and the Customer shall maintain the Indemnified Parties held harmless therefrom. The Liability of ACS aviation industries Ltd shall be at ACS aviation industries Ltd absolute discretion, be limited to repairing the repair items to the Customer again or the payment of the cost to the Customer of repairing repair items equivalent to the repair items. (c) to the extent not permitted by statute or common law. 1.9 Confidentiality: Unless otherwise required by any relevant authorities all information regarding the services or propriety information becoming available or coming into the possession or knowledge of either party by virtue of this Agreement shall at times be treated as confidential and shall not be published, disclosed or circulated except (and as only far as is necessary) for the purpose of legal proceedings. Such obligations shall survive and continue after the discontinuance, termination or cancellation of this Agreement or any part thereof. 1.10 Amendments: No variations or amendments to this Agreement shall be binding on ACS aviation industries Ltd unless made in writing and signed by an authorised representative of ACS aviation industries Ltd. ACS aviation industries Ltd expressly reserves the right to amend its charges as a precondition for agreeing to any such variation or amendment. 1.11 Cancellation: The customer has no right to cancellation once this Agreement come into effect. 1.12 Set-off and Counterclaim: The customer shall not be entitled to withhold payment of any sums after they become due by reason of any right of set-off or counterclaim which the Customer may have or allege to have or for any other reason whatsoever. 1.13 Non- Waiver: No failure at any time by either party to enforce any provision of the Agreement shall either constitute a waiver of such provision or prejudice the right of such party to enforce such provision at any subsequent time. 1.14 Entire Agreement: It is acknowledged by the Customer that ACS aviation industries Ltd rejects any other terms and conditions in so far as any have been tendered by the Customer and the Parties hereby agree that the terms and conditions set out herein supersede all prior representations, understandings, arrangements and agreements between the parties and sets forth the entire Agreement between the parties in relation to the subject matter hereof. 1.15 Laws and Jurisdiction: This Agreement shall in all respects be subject to and interpreted in accordance with the Laws of England and in the event of any dispute the parties agree to be bound by the jurisdiction of the English Courts. 1.16 Export/Import Rules: The Customer shall comply with the provisions and requirements of the Export/Import Rules, which means as far as they are applicable to the importer or exporter of a component, all and any export or import laws, regulations or obligations imposed by the UK, the USA or any other country, or imposed by any export or import licensing or control authorities including the United Kingdom Export of Goods (control) 1994 and the Export Administration Regulations of the United States of America as the same may be amended or replaced from time to time and where applicable, obtain any necessary licenses and authorisations thereunder and provide ACS aviation industries Ltd with such information, and take such action, as ACS aviation industries Ltd may reasonably require or request concerning compliance with, or enquiries relating to the Export/Import rules. Any failure by the Customer to comply with its obligations under this clause or any delay or failure of any import or export licensing or control authority to grant or issue any license or other authorisation under the Export/Import Rules shall not absolve the Customer of its obligations under this Agreement. ACS aviation industries Ltd shall not be liable for any delays or any failure in providing any services, or in making the component available for collection by the Customer or in delivering any components to the customer or otherwise whatsoever, resulting from any delay or failure of any export or import licensing or control authority to grant or issue to ACS aviation industries Ltd any licence or other authorisation under the Export/Import Rules. 1.17 BER and Scrap: Means when a component is determined by ACS aviation industries Ltd as “beyond economic repair” on the basis that the cost of performing repairs in such Component is likely to exceed 65% of the current Catalogue Price List of such component. 1.18 Notices: Any notice to be served by either party hereunder shall be sent by pre-recorded delivery or registered post or by facsimile transmission to the other at the address stated in the Agreement and shall be deemed to have been received by the other, if sent by pre-paid recorded delivery or registered post, one week after posting, or if sent by facsimile transmission, on the date sent provided that a printed report confirming transmission is received and a confirmation copy is sent by pre-paid recorded delivery or registered post on the date of transmission. 1.19 Counterparts: This Agreement may be entered into any number of counterparts, all of which taken together shall constitute one and the same instrument. Any of the parties may enter into this Agreement by executing any such counterpart and faxed signatures by or on behalf of the parties shall be binding.